Glen Scotia distillery has added a new expression to its range – an 18-year-old Sherry-finished single malt. Having been matured in American oak casks for 17 years, the whisky was then finished in ex-oloroso Sherry casks for 12 months, resulting in ‘signature Campbeltown aromas of vanilla oak, sea spray and spicy aromatic fruits’. 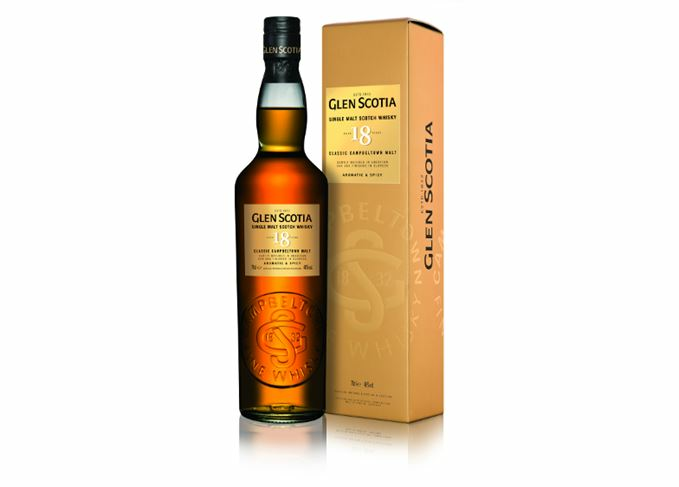 Bottled at 46% abv, it joins the recently added 25-year-old single malt as part of Glen Scotia’s core range. Michael Henry, master blender for Glen Scotia owner Loch Lomond Distillery Company, said: ‘Glen Scotia 18 Year Old is a true taste of Glen Scotia and Campbeltown. Glen Scotia, established in 1832, is now one of only three working distilleries in Campbeltown – a region considered by some during the Victorian age to be the ‘whisky capital of the world’ and where 30 distilleries once operated. Glen Scotia 18 Year Old is priced at around £85 and is available at specialist whisky retailers in the UK, Taiwan, Germany, Belgium and Poland. Charting the history of ‘Whisky City’ in the run-up to this week’s Campbeltown Malts Festival.